When it comes to success stories on primetime television, law enforcement thrillers are usually a pretty safe bet. There’s a reason why Law & Order lasted for so many seasons and launched so many spinoffs. There’s something appealing about a format of good guys vs. bad guys each week. 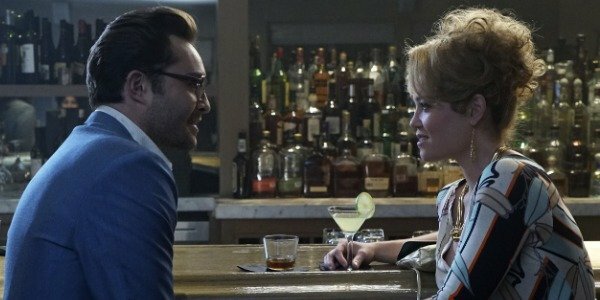 For anybody who has been craving yet another police drama featuring a twisted serial killer with a taste for murdering women, ABC’s new series Wicked City may already be on your radar. Unfortunately, Wicked City does not quite deliver as a crime thriller, and the city isn't nearly as interesting without that extra boost of wickedness to spice things up. It seems to have more in common with this past summer’s Aquarius than any of the Law & Order series. The new show features dual main storylines, one following the hero and the other the villain. 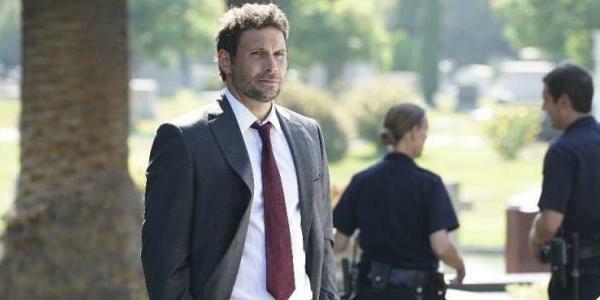 The hero is Jack Roth (Jeremy Sisto), a detective working the Sunset Strip in California who made a name for himself with the case of the Hillside Strangler. The villain is Kent (Ed Westwick), a serial killer with a penchant for dedicating songs to his victims before murdering them. His wicked ways draw Betty (Erika Christensen) into the fold. In addition, a young reporter named Karen McClaren (Taissa Farmiga) pokes around. Created by Steven Baigelman, the factor that most successfully sets Wicked City apart from other law enforcement series is the setting in 1982. It has become increasingly difficult for networks to make law enforcement shows interesting when so much of the investigating involves technology rather than firefights, and setting Wicked City in an age of fax machines and pay phones helps to keep up the suspense. There are no computers to hack or cell phones to tap or GPS chips to activate, and this first episode was far more suspenseful for it. Of course, the 1980s setting isn’t nearly enough to make any series frightening for any viewer whose deepest darkest fears are not big hair and dated fashion. The “wicked” part of Wicked City was by far the highlight. Ed Westwick worked as serial killer Kent. Unassuming and handsome enough to believably pick up women without being overly memorable to anybody else, Westwick made the interesting choice to go understated rather than over-the-top in moments typical of the TV serial killer. In addition, Westwick’s creepy chemistry with Erika Christensen as nurse Betty Beaumont sold that his influence could lead her toward embracing her darker tendencies. Her first hint of darkness technically came when she killed a spider after reminding her children that life is sacred, but it’s hard to blame anybody for going on a smushing spree when it comes to arachnids. Her descent was gradual and believable, and she should make a compelling scene partner with Westwick as she joins him on a crime spree. Sadly, the writing for the good guys was not nearly as compelling as for the bad guys. The police side of the story was more humdrum than thrilling, so comparatively unremarkable that it was almost tempting to root for the serial killer just to get his arc back on the screen. The police half of the script wasn’t exactly bad, but it was so thoroughly unremarkable that it was difficult to get invested. Jack Roth was sold as a good cop but a bad husband. In the show, we learn he is a seasoned veteran with a stellar record but who keeps butting heads with his young new partner. He’s so famous on the crimefighting circuit that Kent has latched onto him as his counterpart in the police department. There was just nothing to get excited about on the police side that hasn't already been done on television, and even a Se7en-esque head in a box wasn’t enough to energize the plot. The secondary good guy plot wasn’t any better. The reporter was of course a plucky young woman, talented enough as a writer but too wholesome to go backstage at a night club. She was frightened of helping the police but does the brave thing and agrees to help them. She’s a stereotype in a show that really needs to treat its principal women as three-dimensional contributors--especially since Wicked City tended to brutally murder all the female extras. Overall, the show had big hits and big misses. Showing Kent as a serial killer without forcing him to monologue at a victim about his preferences or write in a diary in big block letters visible for the camera made him scarier than he would have been otherwise, and Betty smushing the spider and then plucking stitches from a conscious patient clued viewers into a hidden sadistic side without anybody pointing it out to audience. On the other hand, as this was a series premiere, exposition was inevitably going to be dumped all over the place throughout the episode, but it was handled clumsily and without much to distinguish it from other portrayals of cops on television. Hopefully, future episodes will find a better balance. Wicked City will premiere on ABC on Tuesday, October 27 at 10 p.m. ET. In addition, you can check out what else has yet to premiere with our fall TV premiere calendar.